← I FINISHED WRITING MY BOOK!!!! FINALLLYYYY!!!!!! 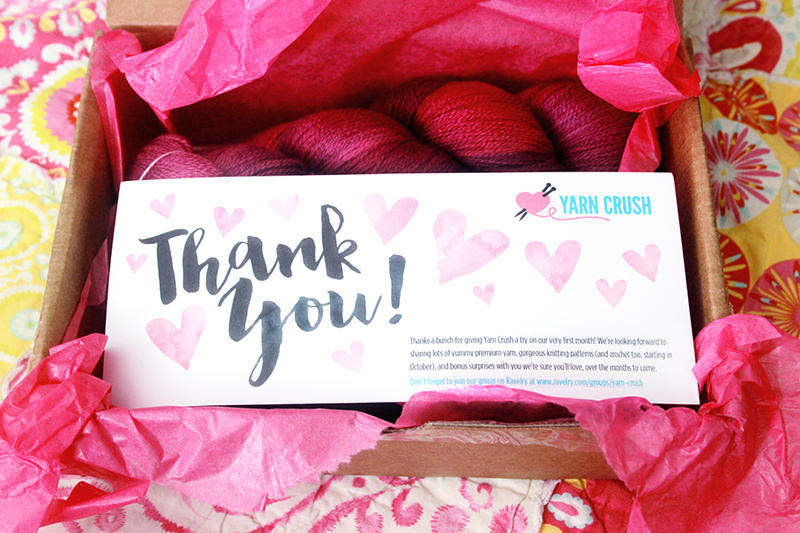 See what’s inside my Yarn Crush box! 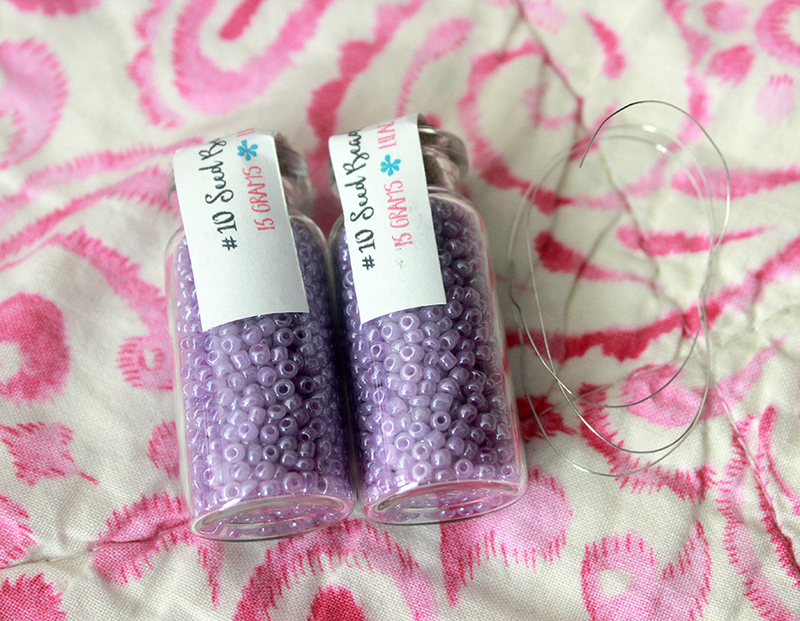 Inside the box was a beautiful skein of hand-dyed silk merino lace yarn, a pattern for a knitted beaded shawl, and beads and wire to embellish the shawl. 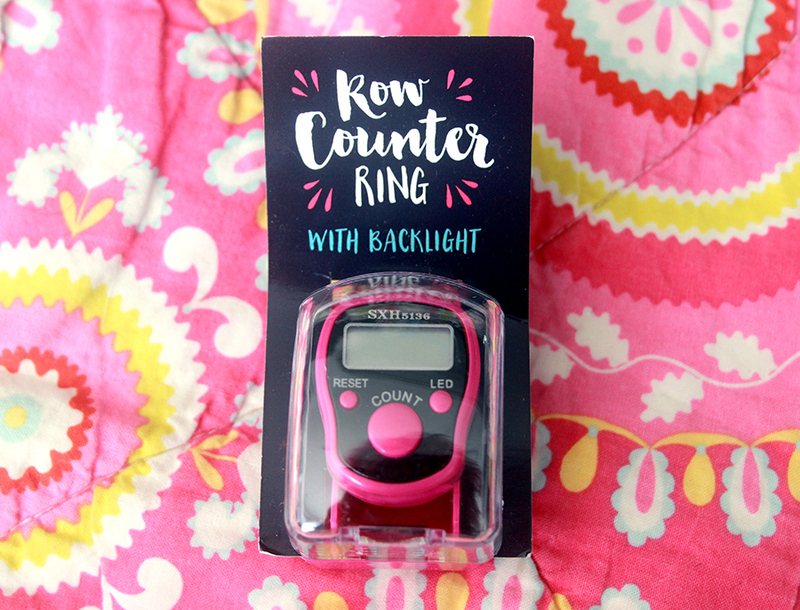 There was also a handy dandy row counter RING with a a back light. I thought that tool was pretty spiffy! I hesitate to show you a close up of the pattern and charts cuz I don’t wanna give EVERYTHING away, but they are printed on some pretty sturdy cards and beautifully laid out. 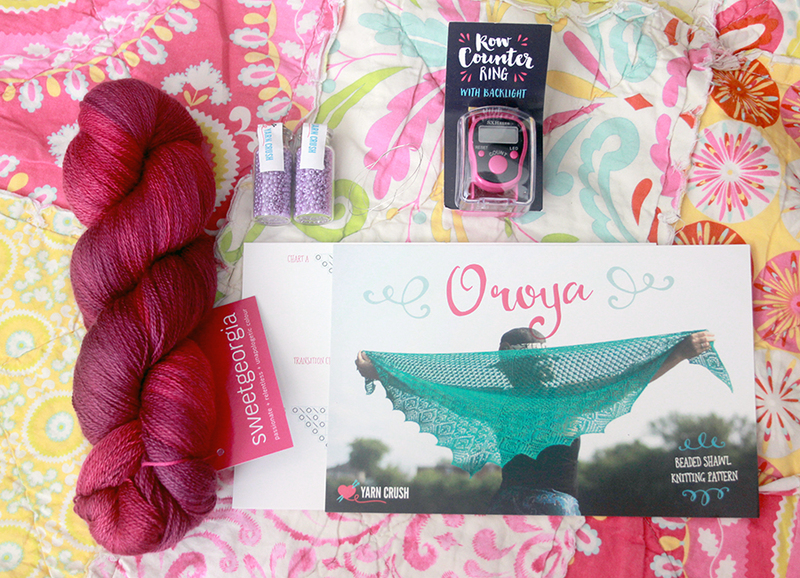 I think the shawl looks super gorgeous, and I am going to gift my box to my friend Meredith who is a knitter! 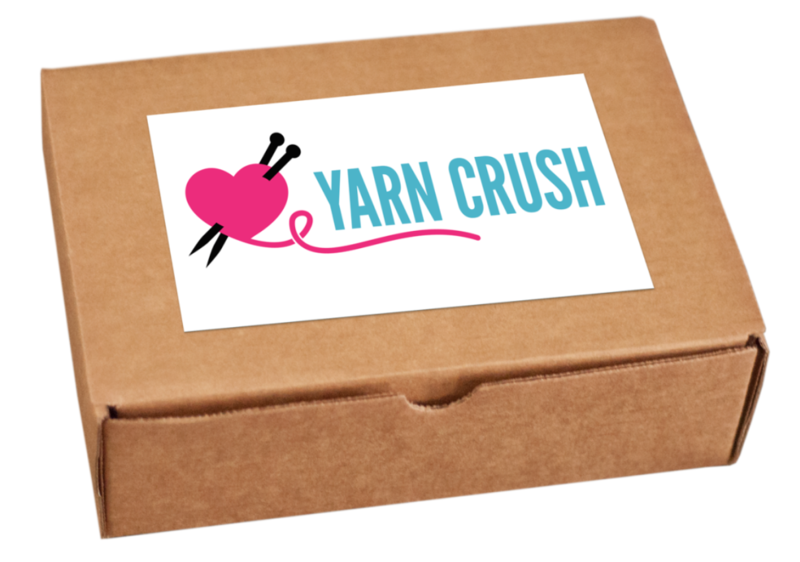 As I mentioned before, Yarn Crush is available with a monthly or bi-monthly subscription, with the monthly subscription being $32.99/month + shipping. And you might see a crochet pattern from yours truly in one of the boxes in the coming months…! 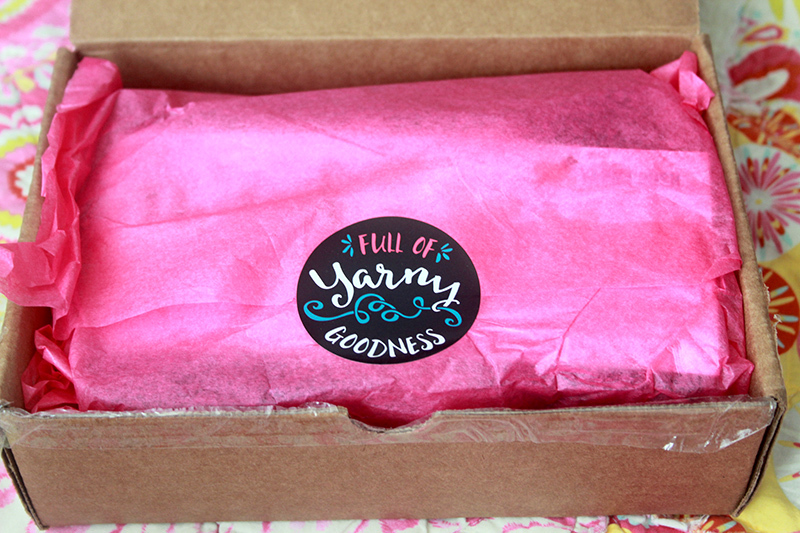 4 Responses to See what’s inside my Yarn Crush box! I love this! I think this would be the perfect gift for my mother-in-law. Thank you for sharing! As for what I’m working on: homemade postcards! I totally want that counter! Very cool, thanks for sharing! Oooo! 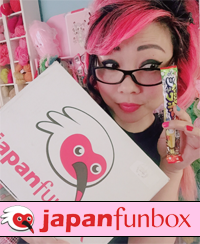 I like what’s in the August box! 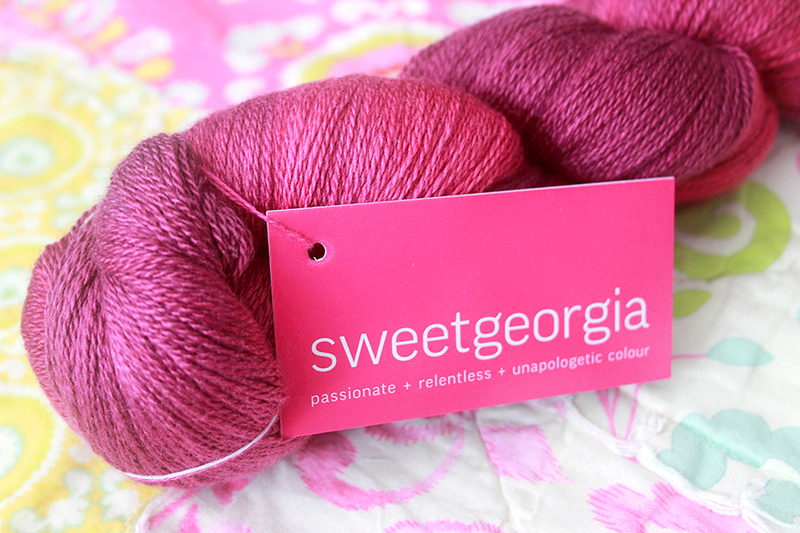 Such pretty yarn and fun toll-free stuff! I’ve been trying out a new granny square pattern that I found on tumblr. 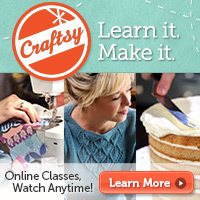 I think it’s made with the linen stitch? Something like that. When you use two or more colors, the pattern looks really pretty! Totally tempted to try it out with rainbow colors!